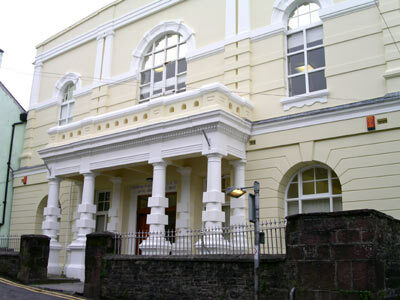 The Town Council is an elected body responsible for local government within Llandeilo town. It represents the interests of the town in the provision of local services and liases with other bodies involved in local government - Carmarthenshire County Council, the Welsh Government and the U.K. Government. The Town Council receives funding primarily via the County Council through its precept - the annual allowance that sets the budget for the provision of services. The Town Council may raise additional funds through loans or grants for special projects - such as the Town Enhancement Scheme. The Town Council owns the Shire Hall – bought with a loan and currently leased out to the Dyfed Archaeological Trust. The Council considers applications for funding, under Section 137 of the Local Government Act, four times a year. The maximum we can spend is currently £5 for every elector, in each financial year. Any individuals or organisations whose project will be of some benefit to Llandeilo people are very welcome to apply – we positively encourage more to do so. Applications should be made in writing to the Town Clerk, should include a balance sheet of income and expenses for the past financial year, where applicable, and should clearly describe the benefits. If you need assistance with any of the above, you should contact Carmarthenshire County Council on 01267 234567.